What do the phases of a clinical trial mean? If you’ve been diagnosed with a serious, complex or rare health problem, you may consider taking part in a clinical trial of a new treatment, especially if standard treatments haven’t worked for you. What occurs during a clinical trial depends on what phase the trial is in. That’s why it’s important for you to understand what each of these phases involves. Clinical trials, which are required as part of the process of getting Food and Drug Administration (FDA) approval, can vary in the number of patients who take part and the design of the study, but they must all follow a strict set of criteria that protects patients. The trials are conducted in a series of steps known as phases. 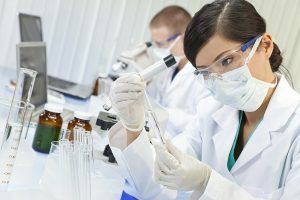 Each phase has a different scientific goal, but the end goal of the clinical trial process is to determine whether a drug, medical device, surgical technique or other type of treatment or diagnostic tool is both safe and effective for use in humans. Phase I: This is the first investigation of a treatment in humans. The goal is to gather information on dosage, timing and safety of the treatment. The researchers examine how the drug is absorbed and metabolized and whether it is altered by those processes. These trials are usually small and use healthy adults as test subjects. Phase II: These trials focus on examining the safety and clinical effectiveness of a treatment. Test subjects are people who have been diagnosed with the disease that the treatment is designed for. This stage of testing also explores short-term side effects of the treatment. Phase III: At this point in the clinical trial process, researchers are working to evaluate the effectiveness of the new treatment compared to standard treatment for the disease. The treatment is tested in a large number of patients who have been diagnosed with the disease. Participants are randomly assigned to either the investigational group where they will receive the treatment under study, or a control group, where they will receive the standard treatment or a placebo. The goal is to confirm any positive findings from the smaller Phase II trials. If the results of the Phase III trial are positive and show that the treatment is safe and effective, the researchers compile the data from all three trial phases and send it to the FDA for review with a request for a license for clinical use. Phase IV: This phase usually takes place after the treatment has been approved for standard use, with the goal of evaluating the long-term safety and effectiveness of a treatment. It’s less common than the other phases of trials. If you or a loved one is interested in taking part in a clinical trial, you can find detailed information about available trials at ClinicalTrials.gov, a registry and results database of publically and privately supported trials. A health advisor can also be a good resource for the latest information on promising trials that are enrolling patients and can help you decide if a clinical trial is appropriate for your particular health situation.